If you're a fan of Guardians of the Galaxy's Dave Bautista, the good news is there's no shortage of ways to see him in action. He keeps plenty outside of the MCU, whether it's as part of Spectre, the underrated Bushwick,or Escaple Plan 2: Hades, or with his upcoming action flick, Final Score, and yep that generic title is suggestive of a sports theme. 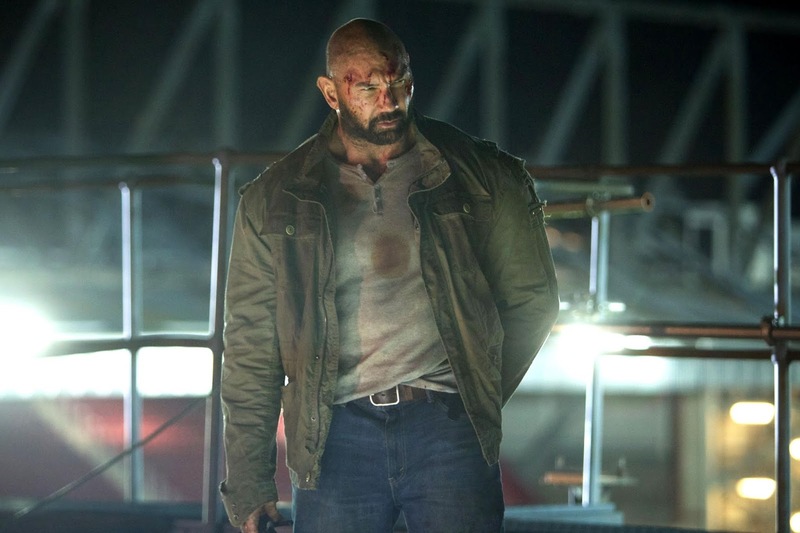 Rather than saving the universe from Thanos, Bautista plays former soldier Mike Knox, who must save a stadium full of soccer fans from terrorists. 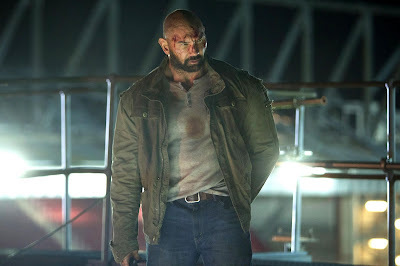 Pretty basic, sure, but Bautista is one of the most credible action stars around, and he's got some good talent working with him. First is director Scott Mann, who worked with Bautista on 2015's Heist, a solid film for sure. Co-starring are Pierce Brosnan, Ray Stevenson, Amit Shah, and Ralph Brown. Final Score opens September 14th.